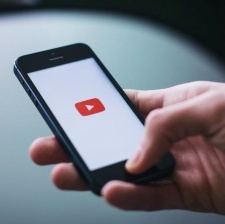 A fresh report from Sandvine has suggested that YouTube is responsible for 37 per cent of mobile web traffic worldwide. The second largest percentage on the chart belonged to 'other' apps, which have not been accounted for in the study. 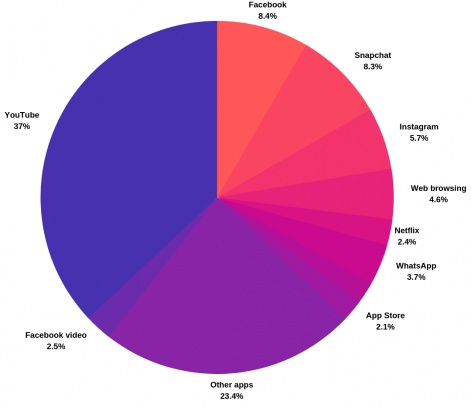 This could cover apps primarily used in eastern areas such as WeChat, or even social phenomenon TikTok, which also hasn't been touched in this roundup despite huge growth in the last year. It's also worth noting that Snapchat and Facebook are almost on par for data usage, despite active users on both platforms differing significantly. By the end of Q4 2018, Facebook had over 1.5 billion daily active users worldwide, whereas Snapchat brought in 186 million. The downstream traffic is measured in megabytes, and YouTube's video streaming is far more data-demanding than the likes of other other social networks, which could explain its high result. This could also explain why Snapchat's usage so close to Facebook's. One of Snapchat's primary functions is video sharing. While this logic could apply to Netflix too, it's worth remembering that Netflix has a lofty monthly-subscription fee which makes it less popular next to free apps. It also speaks volumes about the type of content absorbed on mobile devices - short-form videos are best digested on phones while TV shows and movies are best left to the bigger screens. Viral Visionaries: Can companies do more to keep our children safe online?